this is a wonderful astrology love match that can make for a comfortable, harmonious union. Cancer: Although these signs share many differences, they are actually incredibly well suited for one another. Virgo’s practicality when it comes to all matters compliments Cancer’s natural depth of emotion and need for security. Each one brings something different to the table making for a balanced, even relationship. Both Cancer and Virgo natives are also deeply caring individuals that love to dote upon their partners, making this a union full of consideration and compassion. Capricorn: Virgo and Capricorn have a tendency to be just like two peas in a pod when it comes to many things. They are both hard-working, diligent individuals who place a strong degree of importance on intellectualism and conservative living. Their outlooks in regards to their social life as a couple are similar as well, with both of them preferring quality over quantity when it comes to their circle. It is easy for these two to see eye to eye when it comes to all the major points of the relationship, making their union a harmonious one built to stand the test of time. Gemini: These are two signs that have a great tendency to bring out the worst in each other. Gemini sees Virgo as incredibly dull and boring while Virgo sees Gemini as too impractical and flighty. Virgo’s clashes with the Gemini person for fickleness, often causing Gemini to look elsewhere when things begin to sour. In most cases, this is not a love match built to endure over time. Libra: A Virgo native’s tendency to be critical and demanding when it comes to the very exacting standards they live by will soon become a nuisance to fun-loving, easy-going Libra. Libra’s seeming flightiness and wishy-washiness will not sit well with accomplishment-oriented Virgo. The two will also find it difficult to get along sexually as well, as Virgo is far more interested in making money while Libra is the one that’s all about making love. Fickle Libra may eventually decide to look for greener pastures elsewhere. This match makes for an extremely complicated relationship in which it will be difficult to find a balance. Aries: Although this pairing can be made to work with a proper amount of dedication on either side, these two are primarily too headstrong and stubborn in their own ways for things to run very smoothly. Aries likes to be the leader in all things and be the one to call all the shots, while Virgo very definitely has its own way it like things to be done. Aries may also find Virgo’s enigmatic, less direct style when it comes to sexuality to be frustrating. Virgo: Although two Virgos are better than one when it comes to getting things done and getting them done right, they must take care that their mutual need to each have things their own way doesn’t get in the way of the greater good. Compromise is the watchword here. If the two can learn to master it, then this relationship stands an excellent chance of success. Pisces: one side Virgo’s practical approach to life can help give dreamy Pisces a sense of stability. Pisces’s imagination can add a whole new dimension to Virgo’s world that they’d never imagined was possibly before. On the other hand, Virgo’s perfectionism and nitpickiness can clash badly with Pisces’s need to have their partner meet boundless ideals. You two are very different! VIRGO is more modest, self-effacing, shy, and unobtrusive than LEO, who craves social approval, recognition, love, and applause. LEO tends to step into the limelight and outshine or overpower VIRGO. VIRGO is more emotionally self-sufficient than LEO is, and may not give LEO all of the "strokes" and appreciation LEO wants. Leo - VIRGO also has a tendency to become fussy and particular, and these fits of perfectionism can have disastrous consequences when the target of VIRGO's critical eye is LEO. LEO is particularly sensitive to criticism and tends to interpret VIRGO's "constructive criticism" as a personal attack. VIRGO is more analytical and psychologically astute than LEO, who may not appreciate being "picked apart" or psychologically analyzed by VIRGO! Another problem in this relationship is that LEO may take for granted much of the work and assistance that VIRGO provides. Scorpio - Your essential natures are compatible, as both of you share a certain level of practicality, the need to analyze and dissect people and life. There are times, however, when SCORPIO strides fearlessly into a challenging situation, and VIRGO feels much more cautious and careful. SCORPIO may consider VIRGO to be too timid, and VIRGO may feel that SCORPIO lacks prudence. There is also the possibility that VIRGO will view SCORPIO as being a bit crude and too much passionate or emotionally attached to certain situations or ideas. Sagittarius- While VIRGO tends to focus on the trees, SAGITTARIUS is interested in the forest. Very often VIRGO points out problems with specific details of any situation, while SAGITTARIUS would rather discuss the overall, general outlook rather than the practical details. These different approaches can balance each other. They are also likely to conflict with each other at times, especially when SAGITTARIUS feels that the details will take care of themselves and VIRGO should simply have more faith in the process. VIRGO can be guilty of spending so much time criticizing the details that the overall goal of an otherwise excellent plan is missed. SAGITTARIUS, on the other hand, may need VIRGO's detailed analysis but not be willing to admit it. Aquarius- Although you approach problems and ideas from different perspectives, you have a good mental rapport. VIRGO focuses on specific details, and prefers to specialize in a certain area, while AQUARIUS takes a wider, more global view and looks for interrelationships in a large system, without as much focus on any particular area of specialization. 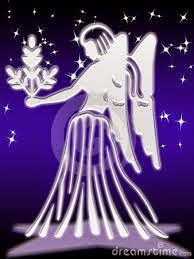 VIRGO is more concerned with effective and precise application of plans, and helps AQUARIUS to practically apply ideas. You make a good team in social or intellectual pursuits. Your relationship may be a bit cool or formal, however, and hopefully there are other astrological factors (as described elsewhere in this report) to provide warmth, affection, and romantic or sexual attraction.